Happy Monday Peeps. Wow, it was so hard handling my hair this weekend. 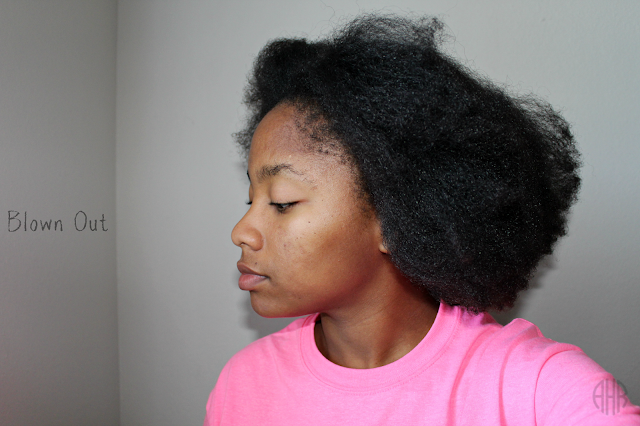 One reason is because of my bad experience flat ironing my hair a few months ago. It was so bad that I chopped all of my hair off...most of it anyway. Check out the whole spill HERE from my hair disaster. The next reason is that I traveled to a wedding Saturday and the last thing I needed was awful hair. Lastly, I purchased two new hair tools: the FHI Blow Dryer (REVIEW) and the FHI Runway Flat Iron (REVIEW). Two new things used at once in my hair is a centimeter short of scary to me. I definitely have some hair issues. Moving on, I decided to go back in time and reintroduce the one thing that USE TO WORK when I flat ironed my hair and got silky results. That is...drumroll....PRE-POOING. I stopped doing pre-poos when I stopped using shampoo to wash my hair a year ago and started to use conditioner instead. Pre-pooing just helps protect my strands from the harsh stripping shampoo. Typically, I use a cheapie conditioner, some type of oil, and honey for my pre-poo. For my pre-poo, I used coconut oil and honey. Now, when I started to apply this mixture, I remembered why I added the conditioner to it. It's super sticky and can rip hair if you're not careful. However, the moisture you get after an hour of letting it sit is amazing. 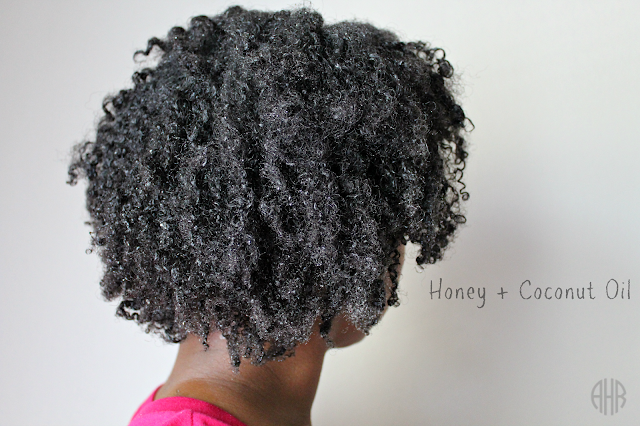 The honey is a natural humectant that draws moisture to the hair and coconut oil is a natural heat protectant. I did a post about this mixture years ago. Check it out HERE! No heat needed but you can apply it if you like. Also, this mixture is very messy. I typically line the floor and countertop with newspaper when applying it. Next, I tie my hair up in three grocery bags and a t-shirt to prevent drips. Then, I let it sit and go to work. After 3 hrs of doing random things around the house. I unwrapped my hair it was not sticky anymore. It's just moisturized. It's Magic Honey! Next, I washed my hair with Organix Morrocan Argan Creme Shampoo. I only applied shampoo once to my scalp and massaged with my tangle teezer to lift impurities. I've had this shampoo for so long and I still have plenty left because I rarely shampoo. 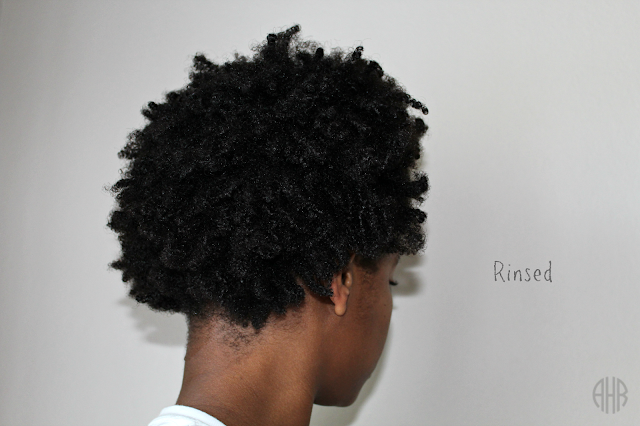 Check out how I wash my hair HERE. 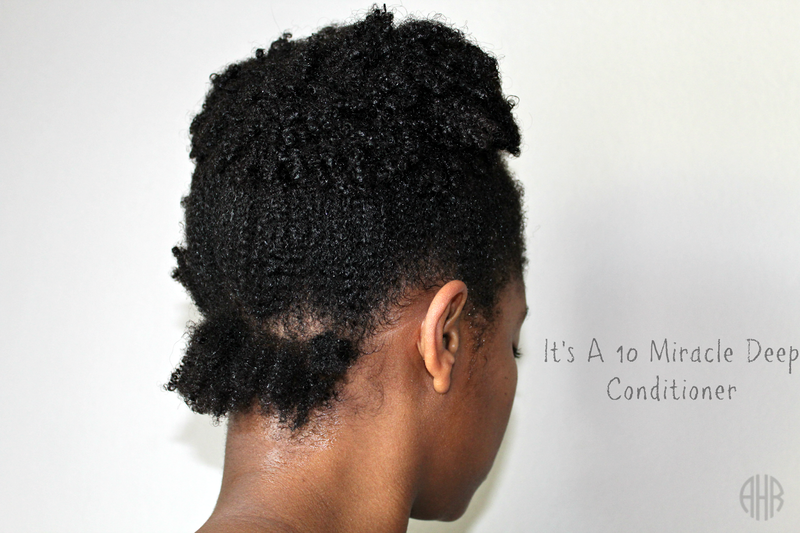 Afterward, I rinsed out the shampoo and applied It's a 10 Miracle Hair Mask to my strands. Then, I lightly finger detangled in the shower, pulled my hair in a pineapple, and covered with a plastic cap. I deep conditioned for 30 mins under my Gold N Hot conditioning cap (REVIEW) and then rinsed out the conditioner. To remove excess moisture, I wrapped my hair in a t-shirt for a few minutes. Next, I applied my leave-in's: It's a 10 Silk Express Smoothing Balm (REVIEW) & It's a 10 Miracle Leave In (REVIEW). Afterwards, I used my FHI blowdryer on warm with low speed to blow dry my hair. This took about 45 mins. I had a difficult time getting my ends to not be puffy. The blow dryer would run smoothly through my hair until the very ends. This was frustrating! But I didn't have a meltdown y'all. No strand was sacrificed. This new blow dryer is really quiet when on. The comb attachment is ok in my opinion but it got the job done. 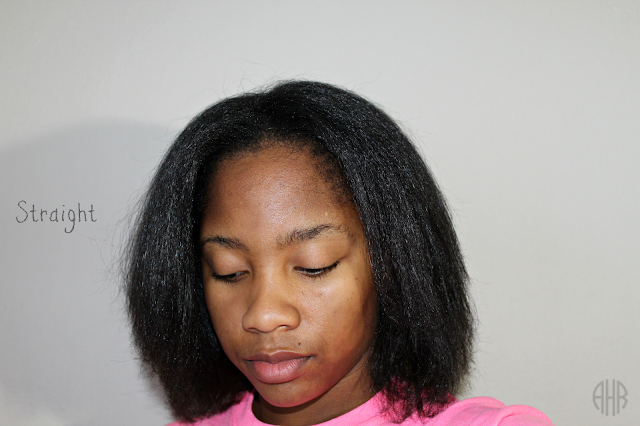 Lastly, I flat ironed with my FHI runway flat iron. The temp was set to 375. My ends were still a bit coarse and dry but I liked the overall look. This flatiron gave me great shine and my hair has grown so much since I chopped it off in May. Stay tuned for a length check.